The Bay View Gin Festival: For 1 weekend only, enjoy 35 gins and if you buy any 5, you get the 6th on us. But that’s not all. 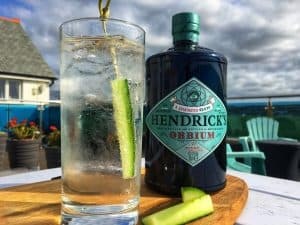 Our Bay View Gin Festival weekend offers a lot of other ginspired treats for you to enjoy, not to mention exclusive prizes in our gin quiz and end of summer gin off, as well as live music. How’s your gin knowledge? Do you know where gin comes from? Why tonic is added? Starting at 7.30pm, we will be hosting a gin quiz with a host of questions to find out who is the gin jedi. On Saturday, we will be serving classic and unusual gin cocktails with live music from 7pm provided by The Bencoolen Wreckers. Sunday is a chilled day. So we will be serving homemade cakes paired to perfection with some of our amazingly flavoured gins. Throughout the weekend, we will also run a gin off featuring the top 4 bestselling gins this summer: McQueen/That Boutique-y Chocolate Cherry, Tarquin’s Rhubarb and Raspberry, Bakewell Gin and Sipsmith Lemon Drizzle. Simply order these gins on our gin tasting menu, register your vote and on Sunday we’ll count up the votes and pick our winning Summer gin. 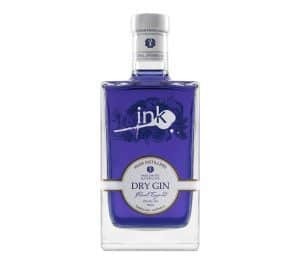 We’ll also give one person who voted for the wining gin, a bottle of the wining gin as a prize. 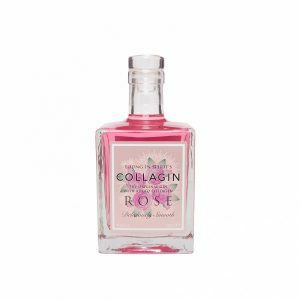 This limited edition is true to the principles of a classic gin, with rose oil steam distilled from rose petals and hosts 11 botanicals including pink grapefruit and orris, but it is the innovative addition of ‘anti-ageing’ collagen that turned our pretty heads. ABV: 40% Serve with: Grapefruit and aromatic tonic. 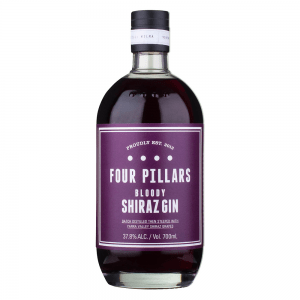 What happens when you combine award-winning Four Pillars Gin with some of the finest Shiraz grapes in Australia? We think it tastes wonderful – and looks fantastic too when you add tonic and it turns a brilliant pink. ABV: 37.8%. Serve with: Iced orange and regular tonic. 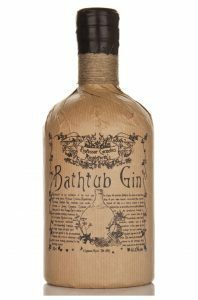 A wonderfully azure gin that, when tonic is applied, transforms into a dusky pink colour. Okay, it’s not magic. 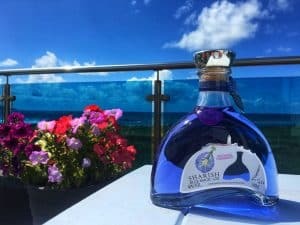 The abracadabra is down to an extract of the flower Clitoria Ternatea that colours Sharish Blue Gin without the use of artificial additives. ABV: 40%. Serve with mixed fruits and regular tonic. Okay, so they distilled Christmas, including (we’re not kidding): Christmas tree needles (Balsam & Douglas Fir), Christmas cake, Christmas puddings, mince pies, a whole gingerbread house, Frankincense and Myrrh, even edible gold flakes. ABV: 46%. Serve with: Orange and regular tonic. Another colour-changing gin (blue to pink), this wonderful gin contains 12 botanicals and is distilled with 100% Australian grain spirit and water from the volcanic rocks of the caldera that originally fell as rain. “It is what Hendrick’s might taste like in a parallel universe.” So Master Distiller, Lesley Gracie, describes it. Intrigued? We were, especially when we learned that Orbium contains quinine, wormwood and Blue Lotus blossom. ABV: 43.4%. Serve with: Cucumber and soda water. 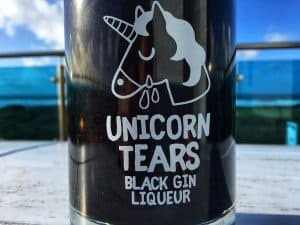 A limited edition (don’t cry if we no longer stock the black liqueur, we will have the latest mythical incarnation), Unicorn Tears mix the distinctive flavours of London Dry Gin with the sweetness of a liqueur, with the added touch of an iridescent glitter. ABV: 40%. Serve with: Strawberry and lemonade. 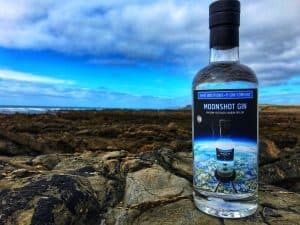 Every gram of the botanicals used to make this gin – including moon rock extracted from a lunar meteorite – were sent into near-space (over 24km) and exposed to an air pressure of less than 1/100th of that at Widemouth Bay sea level. ABV: 46.6%. Serve with: Earth-grown lemon and regular tonic. 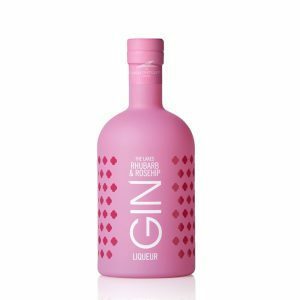 Award-winning pink gin made with 47 botanicals and bottled at 47%, the secret weapon typical to the Black Forest here is cranberries. Oh, the egret monkey on the bottle was called Max, and as we have a dog called Max…you get the picture. ABV: 47%. Serve with: Orange and regular tonic. 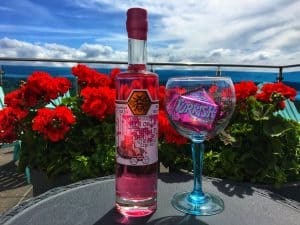 Tarquin’s Rhubarb & Raspberry gin lovingly infuses our house gin, Tarquin’s dry, with the ripest, juiciest raspberries and is just a lovely, refreshingly summery tipple. ABV: 38%. Serve with: Raspberries and ginger ale. 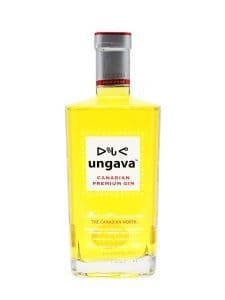 This Canadian gin, named after the Ungava Peninsula, which can be found at the northern tip of Quebec, is made using six rare, hand-picked botanicals: Nordic juniper, Arctic blend, cloudberry, crowberry, Labrador tea and wild rose hips. ABV: 43.1%. Serve with: Grapefruit and ice. 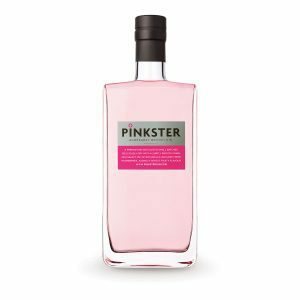 What makes Pinkster, the ‘agreeably British gin’, so refreshing? One thing: Pinkster is only produced during the summer cropping season – and the results are in the tasting as this pink wonder is absolutely gorgeous. ABV: 37.5%. Serve with: raspberries and lemonade. We love 3 Pugs Bubblegum Gin Liqueur here, so when we found out they’d brought out a full strength sweet and spicy blackcurrant gin – in a unique ‘drunken bottle’, we had to have it. Correction: you had to have it. ABV: 40%. Serve with: blackberries and lemonade. 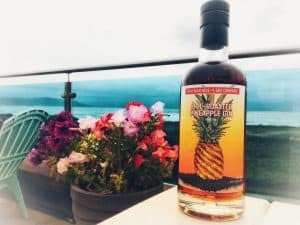 Popular in the 1920s, pineapple gin is back with a typically decadent Boutique-y twist: pineapples roasted on a spit with Demerara sugar until a beautiful caramelisation occurs, then the pineapple is combined with bold and bright gin. ABV: 40.1%. Serve with: Iced pineapple and lemonade. 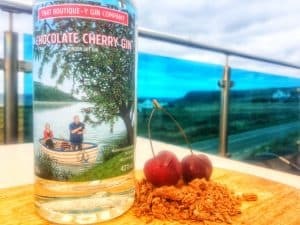 Rhubarb and rosehip extracts are carefully combined with an eclectic mix of 14 selected botanicals, including Cumbrian juniper, and others which are native to the Lake District National Park to make this deliciously refreshing gin liqueur. ABV: 25%. Serve with: Lemon and ginger ale or lemonade. 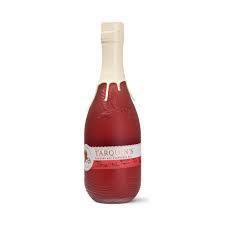 According to The Times, this is ‘Britain’s best sloe gin’. Rounded, complex, slightly serious and bursting with flavour, this is smooth enough to be enjoyed on it on its own – but even better with a Cornish cheese board. ABV: 29%. Serve with: Lemon and bitter lemon or lemonade. 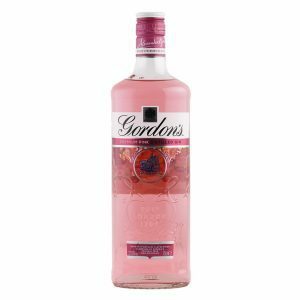 Inspired by a Gordon’s recipe that goes all the way back to the 1880s, Gordon’s Pink, released in 2017, has established itself as a safe but always refreshing pink gin with delicate notes of strawberry, raspberry and redcurrant. ABV: 37.5%. Serve with: Strawberries and regular tonic or lemonade. A gin liqueur made with 50% pressed strawberries – what’s not to love?! On top of that, we’ve got mint their for added depth, and this is a Zymurgorium liqueur. ABV: 20%. Serve with strawberries, mint, lemonade or prosecco. 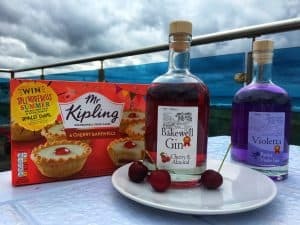 Yes, a gin that tastes exceeedingly like the Mr Kipling pudding, Bakewell Gin is an aromatic craft gin distilled at the same family-run distillery that produces another one of our hugely popular flavoured gins, Violetta Shimmering Parma Violet. ABV: 40%. Serve with: Iced cherries and lemonade or Madagascan cola. 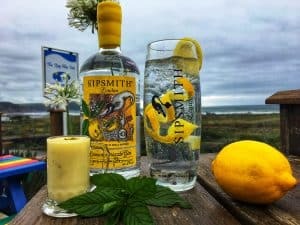 Inspired by the citrus gins from the early 1900’s, Sipsmith took their classic London Dry Gin and layered on sweet sundried lemon peel, lemon verbena and vapour-infused fresh lemons. The result is lemony cakey ginny heaven. ABV: 40.4%. Serve with: Lemon and lemonade. 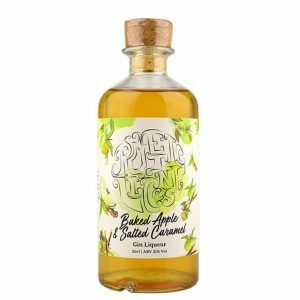 We sell a lot of salted caramel ice-cream, so when we learned of a gin liqueur that combined baked apple and salted caramel (and was made in a 500-litre hybrid still named Gracie! ), we had to have it. ABV: 21%. Serve with: Apple and lemonade. Everyone loves a crumble. It takes you back to school dinners. 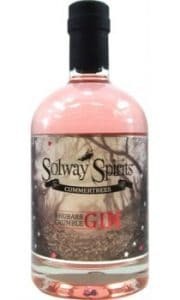 And by infusing rhubarb and vanilla and a touch of torrified wheat to give this marvel a crumble taste, Solway Spirits have totally nailed the comforting flavours of rhubarb crumble. ABV: 40%. Serve with: Regular tonic or ginger ale. 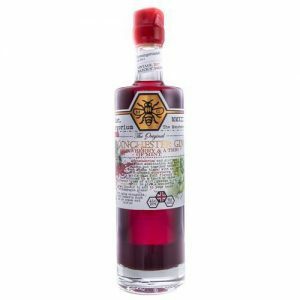 A limited edition from the experimental Zymurgorium Manchester distillery, though Turkish Delight isn’t for everyone, this gin liqueur is so delightfully popular that we hope they extend the run on this sweet flavoured beauty. ABV: 18.7%. Serve with: Lemonade or ginger ale. Give the bottle a shake and it sparkles and shimmers. Give it a sip and it tastes uncannily like parma violet sweets. 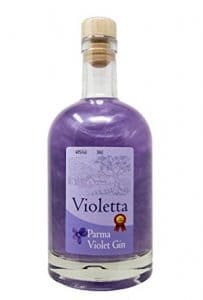 We also have the wonderful Zymurgorium Sweet Violet Gin Liqueur too if parma violet rocks your world. ABV: 40%. Serve with: Blueberries and lemonade. 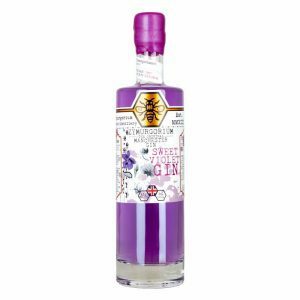 Our first gin liqueur from the Manchester distiller was the wonderful Zymurgorium Turkish Delight, so we when we learned that Zymurgorium also create a parma violet flavoured gin liqueur, we whistled. ABV: 18.7%. Serve with: Blueberries and lemonade or prosecco. 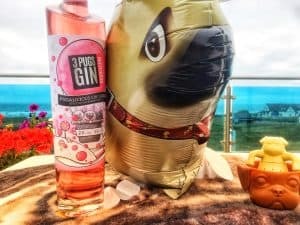 If you love bubble gum as a flavour, you’ll love 3 Pugs Bubblegum Gin liqueur. FYI the three pugs so lovingly cartooned on the gorgeously slender bottle are called Pepsie, Tutu and Mojo. ABV: 20%. Serve with: Strawberries and lemonade. 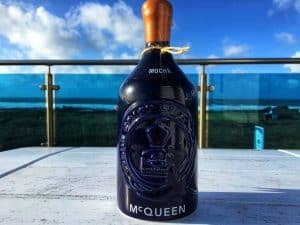 A collaboration made in sweet gin heaven, McQueen and That Boutique-y Gin Company’s Chocolate Cherry gin made with cocoa, sour cherries and a smattering of traditional gin botanicals is simply divine. ABV: 42%. Serve with: Cadbury Flake and lemonade. 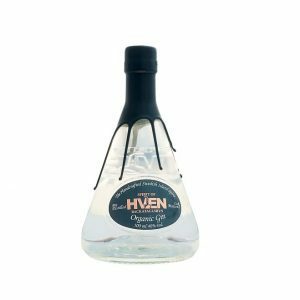 The only gin served at Copenhagen’s two-Michelin starred restaurant Noma, this organic wheat gin is both pot distilled and oak matured with botanicals such as juniper, grains of paradise, citrus, Sichuan pepper, aniseed, and guinea pepper. ABV: 40%. Serve with: just ice and lemon. 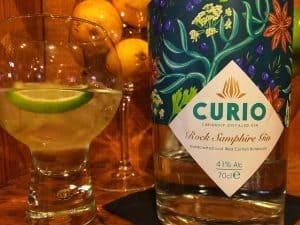 Four times distilled Curio Rock Samphire captures the fresh sea spray and wild aromas of the Cornish coast with the rock samphire hand foraged on the cliff tops and was a gold medal winner in the International Wine and Spirits Competition 2018. ABV: 41%. Serve with: Lemon or lime and regular tonic. Meet the delightfully peculiar Hendrick’s gin, an unashamedly unusual premium gin distilled in Scotland with curious, yet marvellous, infusions of cucumber and rose. 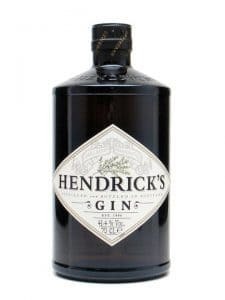 And if you love Hendricks, make sure you also try the even quirkier Hendrick’s Orbium. ABV: 41.4%. Serve with: Cucumber and regular or elderflower tonic. Multi award-winning, this is a bold, clean and fresh tasting gin with subtle notes of juniper, fresh citrus peels, cardamom, cinnamon and clove that make it a perfect gin for a classic G&T. ABV: 43.3%. Serve with: Cucumber or lemon and regular or elderflower tonic. 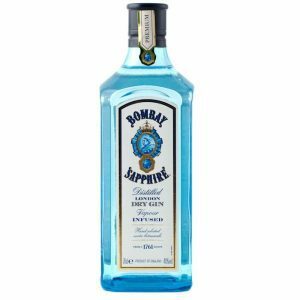 This world famous gin with its distinctive blue bottle (the “Sapphire” refers to the violet-blue Star of Bombay on display at the Smithsonian Institution) contains 10 hand-selected botanicals from exotic locations around the world. ABV: 40%. Serve with: Lime and regular tonic. 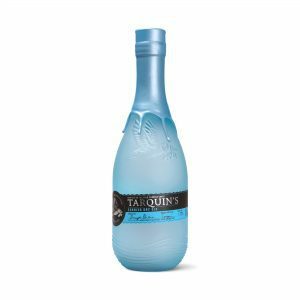 Handcrafted and hand bottled at the first Cornish distillery for over 100 years, Tarquin’s Dry Gin is a contemporary Cornish take on the classic London Dry and we are proud to recommend it as our house gin here. ABV: 42%. Serve with: Lemon and regular tonic. Victorian gin dens placed tom-cat shaped plaques outside their establishments: drop a sixpence in the cat’s mouth and you’d get a shot from the paw. 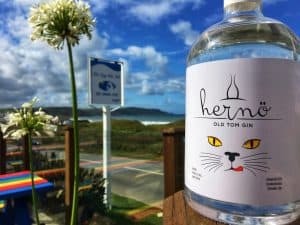 Today, you can get Hernö Old Tom – world’s best gin two years straight – safely at our Surf Bar. ABV: 43%. Serve with: Just ice and lemon.